LaVista: unique, classy and eye-catching. 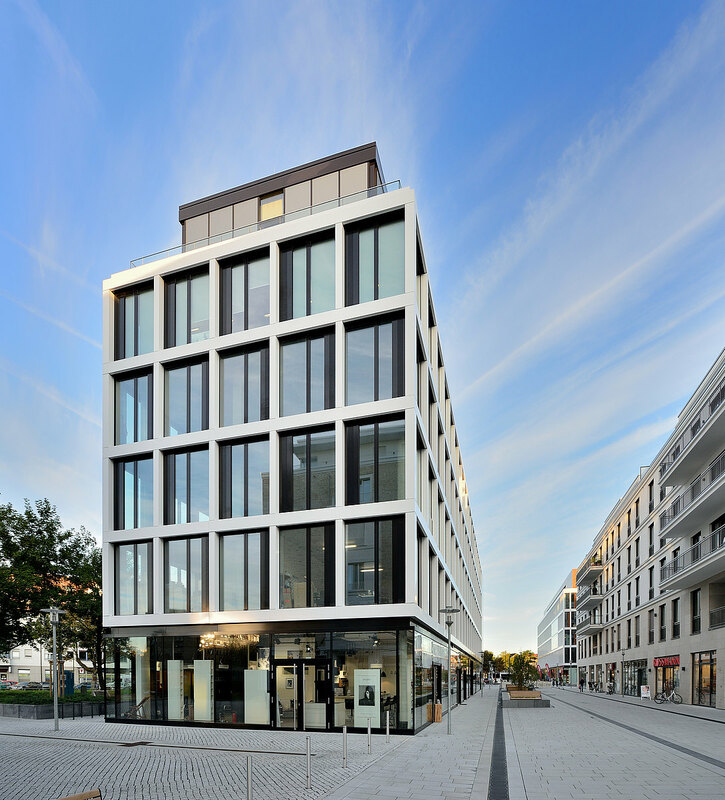 LaVista, the office and commercial building in the Düsseldorf district of Belsenpark® (which itself was developed by CA Immo) forms a natural extension to the neighbouring Belmundo while retaining a character all of its own. The shops, cafés and restaurants occupying the ground floor areas of the office building are an attraction for the entire quarter. Tenants and visitors are greeting by the soaring transparency of a glass facade facing Belsenplatz. With floor-to-ceiling windows and a tiered top floor with all-round roof terrace, the upper levels offer tenants high quality offices. The flexible floor plan of the structure facilitates office configurations for maximum efficiency, from single offices to open-plan arrangements. 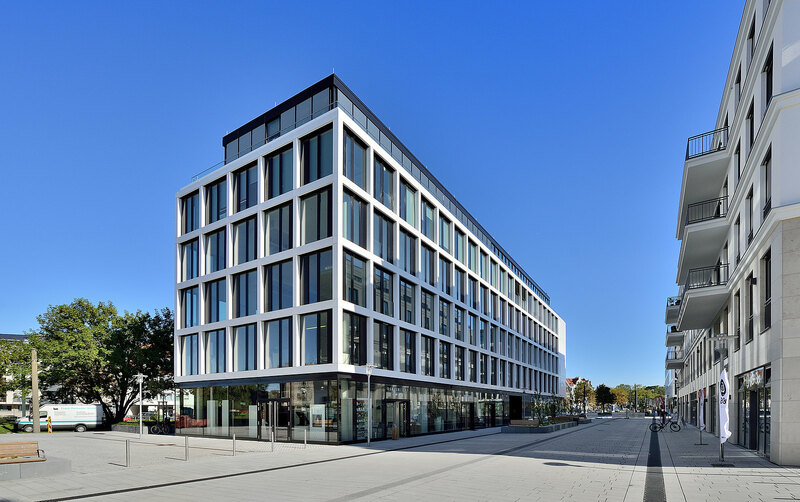 As a green building, the sustainable concept for LaVista includes natural, energy-saving climate control by means of combined heated and chilled ceilings. The most comfortable possible climate is thus individually regulated throughout LaVista. High quality fixtures and fittings include efficient linkage of workstations via floor boxes and an innovative access control system. An underground car park and modern lifts underpin the liveable office plan. 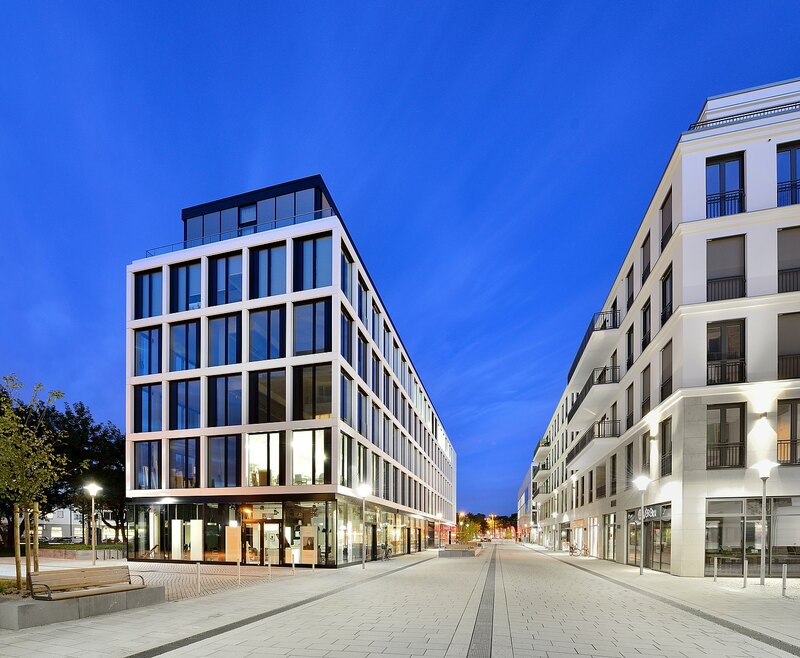 Oberkassel is one of the most popular districts of Düsseldorf – and LaVista stands at its heart, attracting attention thanks to its prominent position on Belsenplatz in the expanding quarter of BelsenPark®. With an unbeatable infrastructure and imaginative blend of usages around the quarter, LaVista promises office tenants numerous advantages. Do you have any questions, or need more information on LaVista in BelsenPark®, Düsseldorf? Simply contact us!